The Insolvency service has just published its monthly enforcement data, which includes data relating to director disqualifications. 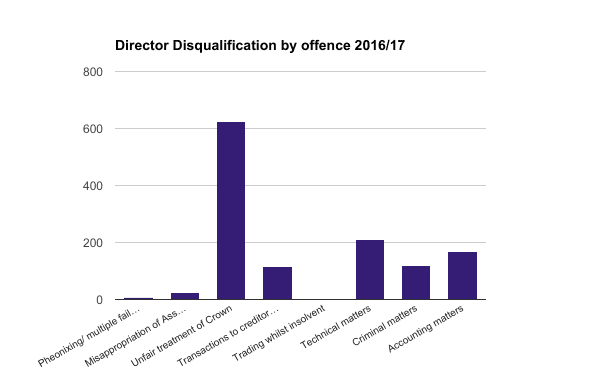 2016 /17 offered no real change in the total number of director disqualifications. 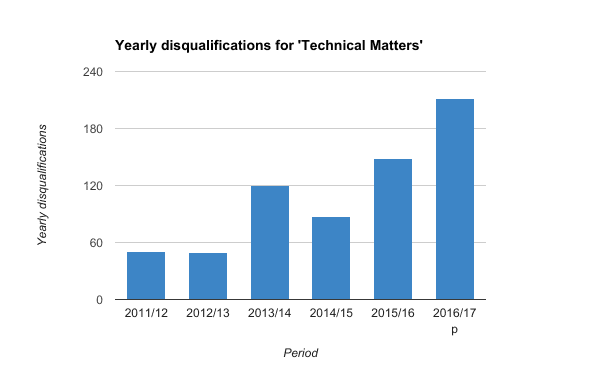 However, there was a significant jump in the number of disqualifications for ‘technical matters’; an increase of 42%. We discuss this in more detail here, specifically, we relate this jump to changes in legislation concerning the employment of illegal workers. By way of explanation, when a company enters liquidation, its liquidator is required to review the liquidated company’s books and provide comment to the Insolvency Service (the government executive for insolvency) on the conduct of people acting as directors. 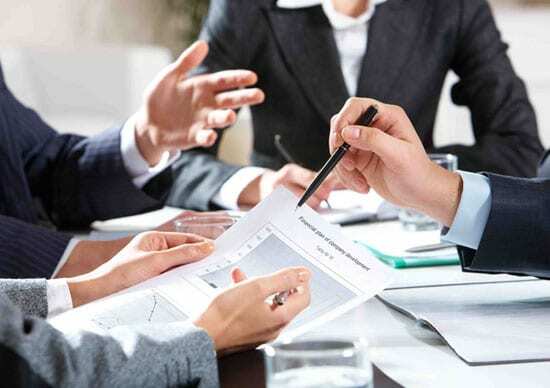 The Insolvency Service decides whether the conduct warrants disqualification, and then either starts court proceedings, or reaches agreement with the directors for a voluntary disqualification. 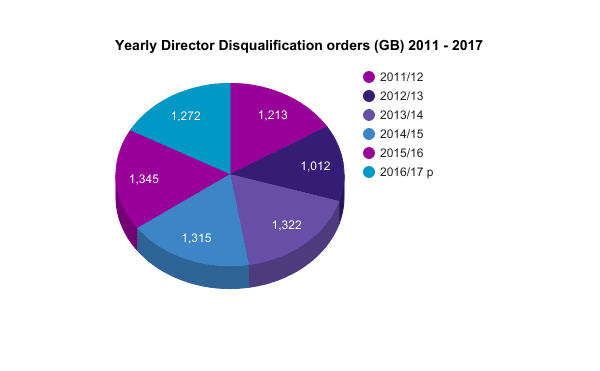 We can see from the chart below that the number of director disqualifications tends to remain reasonably constant year on year, at around 1250. 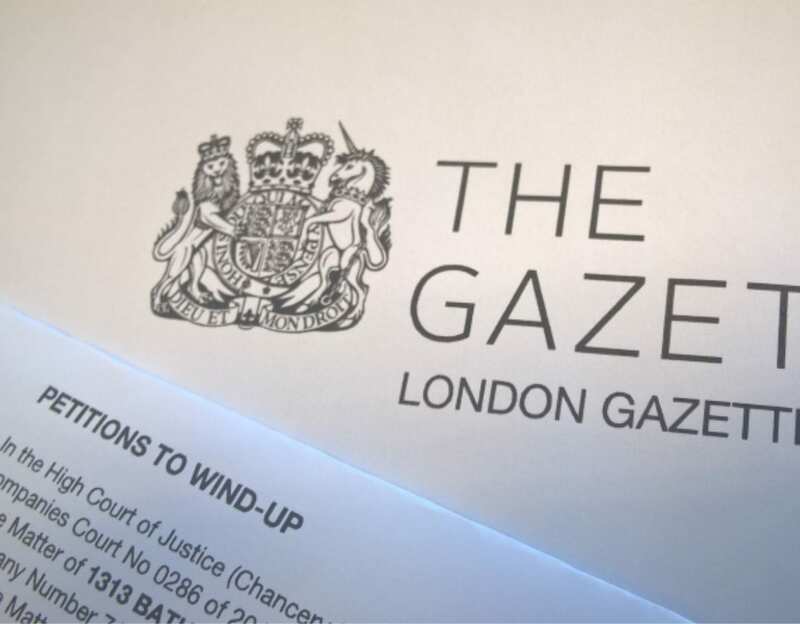 In one of our previous articles, we discuss by far and away the most common reason that directors’ face disqualification – unfair treatment of the crown – and our reasoning for this. In essence, working together with HMRC departments, it is comparatively easier for the Insolvency Service to find evidence and proof of unfair treatment of the crown, than it is for other types of offences. Again, these are reasonably constant yearly trends. However, in 2016/17 we have seen a 42% increase in disqualifications for technical matters: a jump from from 148 cases to 212. What has caused this recent trend? From July 2016, amendments to the Immigration, Asylum and Nationality Act (IANA) 2006 and the 1971 Immigration Act came into force. The amendments increase the penalty and widen the scope for the criminal offence of employing an illegal worker, but they also give immigration officers new powers to visit business premises to search for evidence of illegal workers, retain evidence and if necessary, close a business for 48 hours. Prior to these amendments, employers could essentially plead ignorance if they were accused of employing illegal workers. Criminal charges could only be brought against employers if they were found to have knowingly employed someone without the relevant permissions to work. In practice, this was quite difficult to prove. However, the 2016 amendment widens the scope of the employer’s responsibility to find out whether the worker is legally entitled to work in the UK. If the employee is not able to produce the relevant immigration documentation, the employer can be seen to have ‘reasonable cause to believe that the person has no right’ to work, and in such cases, if employment is continued, employers can be issued with civil penalties and in some cases, face criminal prosecution. 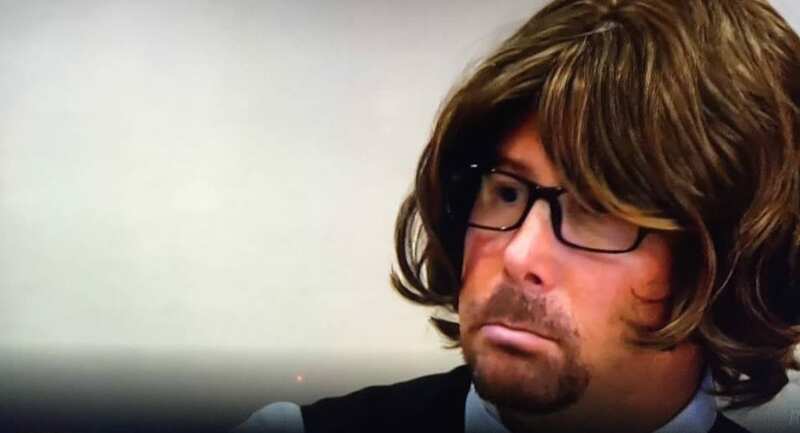 How are these cases being brought against employers? In several recent cases, businesses including a textiles manufacturer, a petrol station, and several restaurants across the UK, were visited by Immigration Enforcement. All failed to produce the correct documentation which justified employees’ right to work in the UK. 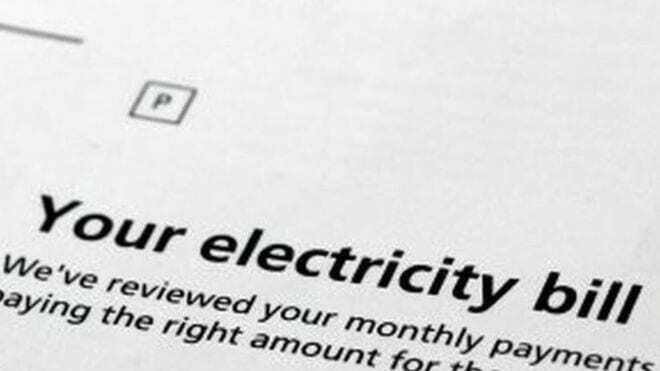 Between them, 39 workers were found to be illegally employed, and employers were issued with fines totalling £450,000 between them. If the business isn’t able to, or doesn’t pay the fine that it has been issued with, the case will be referred to the Insolvency Service. 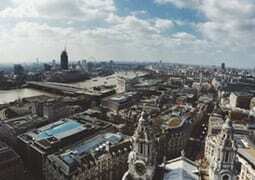 In such cases, the Insolvency Service has a duty to investigate the conduct of company directors. 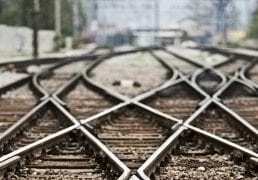 Where is finds evidence of wrongdoing, it has the power to disqualify, or bring criminal proceedings against directors. This means that at a minimum, directors will be banned from being a company director or being involved in the management of a limited company, for a specified time period. If criminal cases are brought against the director, this can be accompanied by a prison sentence. 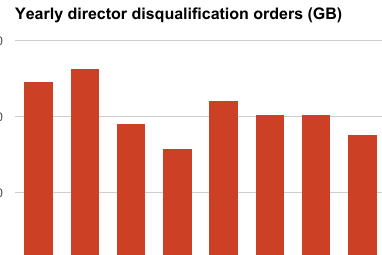 In the above cases, 11 directors were disqualified from being a company director for 6 years each. Since 2006, employers have received fines of up to £10,000 per worker if found guilty of employing an illegal worker. In 2014, the maximum fine doubled to £20,000. Since the 2016 changes, if found guilty of the criminal offence of employing illegal workers, employers can now face an unlimited fine and a maximum prison sentence of up to 5 years (increased from 2 years previously). 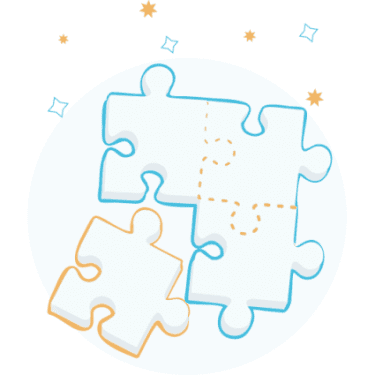 Much like cases of disqualification relating to unfair treatment of the crown, the recent changes in legislation regarding the employment of illegal workers, make it much easier for government departments to work together to find evidence and proof of wrongdoing. It is therefore unlikely to be a coincidence that an increase in cases of disqualification for technical matters corresponds to legislative changes being made that increase the powers of Immigration Officers. 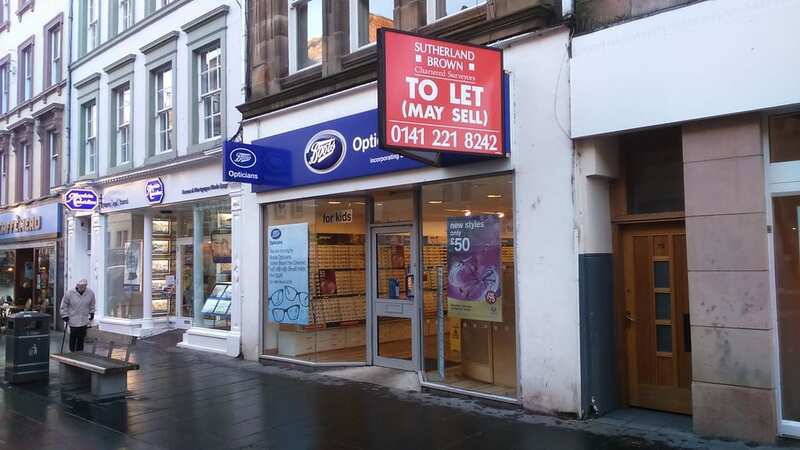 A joined up approach between the Home Office and the Insolvency Service offers opportunities for a relatively ‘easy win’ for both departments. If you have been issued with a fine, or you are concerned about director disqualification, don’t hesitate to contact one of our business rescue experts for an initial free, informal consultation. This entry was posted in Blog Post and tagged directors advice, directors investigation. Bookmark the permalink.